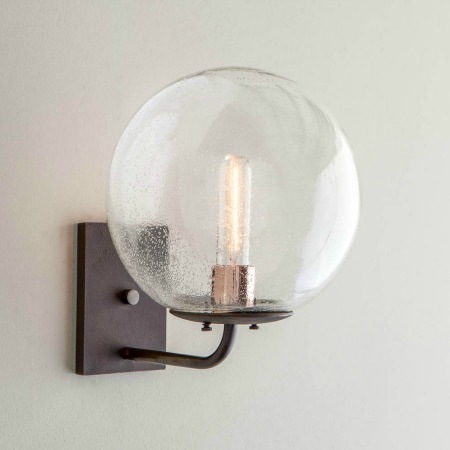 The Cooper Sconce has a simple form, features a 10″ hand blown globe mounted on a cast brass cradle and copper accents. 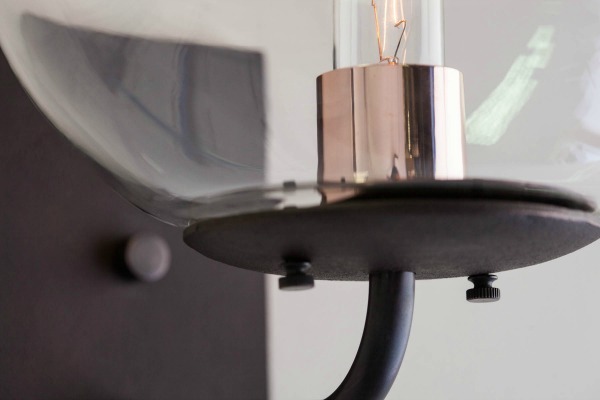 Its subtle shape and vintage appeal lend to its versatility. 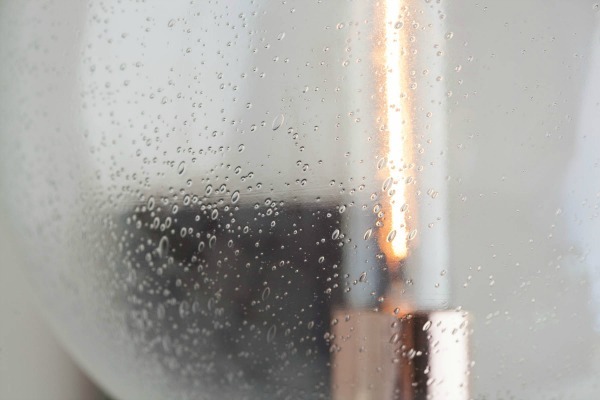 25 w or 40 w T10 clear lamp. 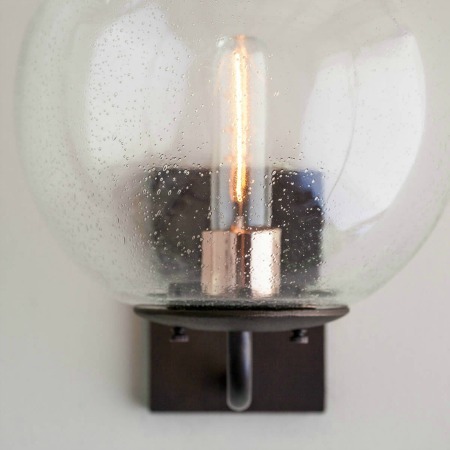 When you have the space, why not make use of this beautiful globe-shaped wall sconce to illuminate a room with style. Two glass options: clear or seeded. 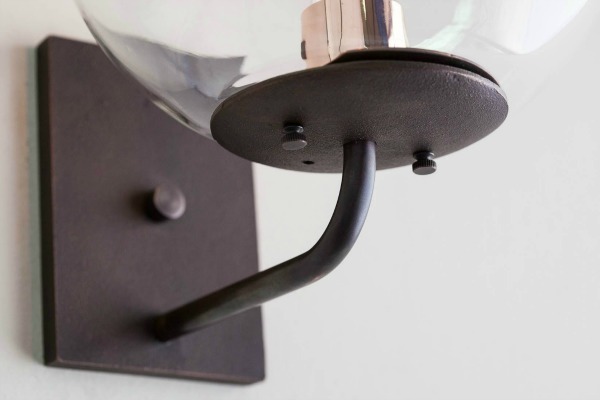 Copper, brass or nickel accent sleeve conceals socket. See our finish chart for available options. Fixture available in OXC, OXB, ORB, PB, BB. Adjustable. 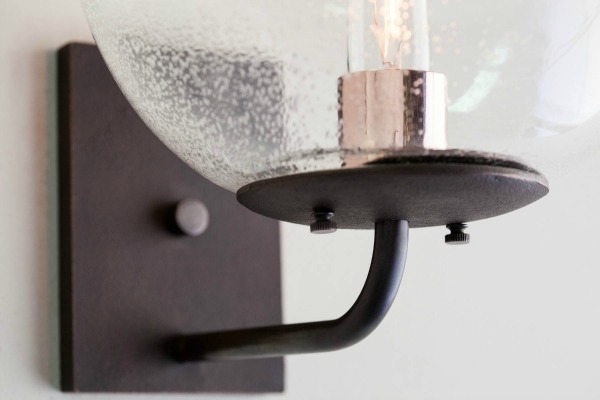 The Cooper offers options that allow your clients influence the look and feel of this beautiful fixture. Striking. 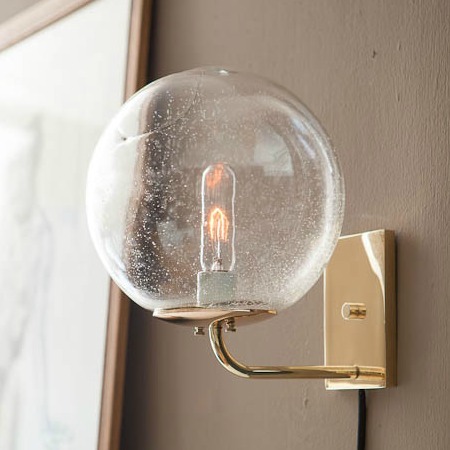 The Cooper's spherical shape and cast brass back plate make it a stand out fixture in any room. Exterior Option. 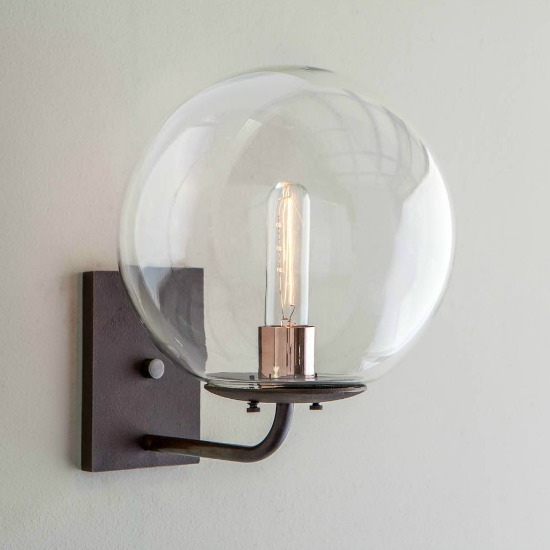 Also available as an outdoor fixture, The Cooper brings old world charm to entryways.